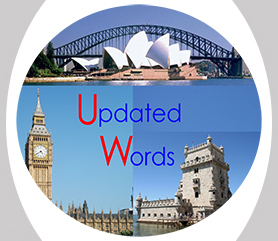 Updated Words has launched another interesting Glossary. It is our Anatomy Glossary. The Glossary is still incomplete, but we decided to publish so it can be useful to the general public. We want our glossaries to be a useful tool both for colleagues and the general public. This Glossary will be updated regularly once more terms become available. Feel free to consult it on Anatomy Glossary .